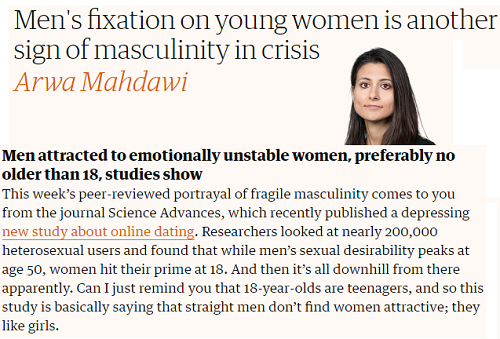 Our 30 something single women are seeing a lot of success in their careers, but strangely, this is not helping them get hubbies. As our title suggests, older men are slowly directing their attention to teenage girls. Dating sites are enabling it. What prediction can we make about it? In the future, a return to ancient times when older men married younger girls. It is not going to be an issue since majority of the American states allow child marriage as long as parents permit it. Being immature and inexperienced with the world, these girls will have no choice but to surrender to their much older husbands' do's and don'ts. They will grow up to become submissive women busy with household tasks. Men, then, will be able to argue that women are too inexperienced for the corporate world. Society will say goodbye to the idea that women are equal to me. We will lose our rights. It is only a matter of time before our society begins to welcome their relationships. Our society is being driven by some extreme kind of ideologies. No one is quite happy with our current dating system. It is hitting new low day by day as hookups perish young people's skills to understand, initiate and maintain long term relationships. See examples below. All these questions are published on the same day one after the other. It is quite messy out there. Before we heard that people wait until marriage because of their religions. The latest myth which soon will enter the trend is that long term relationship is a thing of the religion and thus, outdated. Some of the young guys believe only desperate people look to have a real partner. Prominent dating gurus and commentators need a mention also. Many of these people have no experience with marriage and longer relationships. All they have learned is how to jump from one date to another. There is just no one out there to tell the audience that these advises turn toxic in the long run. Female commentators from big sites by far are most dangerous. Analysis of their articles shows strategies to dehumanize rivals by hook or by crook. One of the most outrageous samples is given below. The piece comes from Vogue. 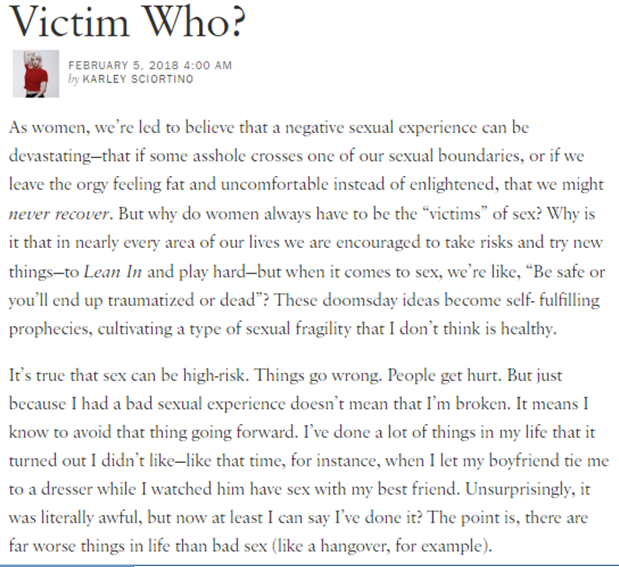 What triggered her to write a piece like that? When she still had the right time she was making fun of it. It is quite likely that she knows she is screwed up. But only if her rivals join her in her misery life will be worth living...for her! We will have a complete look at her stuff very soon. Female commentators don't spare married women either. Almost every piece they produce has promotion of divorce at least once. Marriage is made to look like walking on eggshells. They are deadly for those who come from broken homes. The oddest thing we have is the war between adult men and women. Much of it has to do with laws playing favoritism and the way these two sexes treated sexual liberation. Court has not been kind to married men and from that injustice, emerged Men Going Their Way (MGTOW). Even teenage men are choosing to be hermits. That's quite a challenge to radical feminism looking to free women from men. MGTOW has the upper hand though. Feminists blatantly use shaming language, emotions and myth as their defense mechanism without realizing that these things are now working against them. 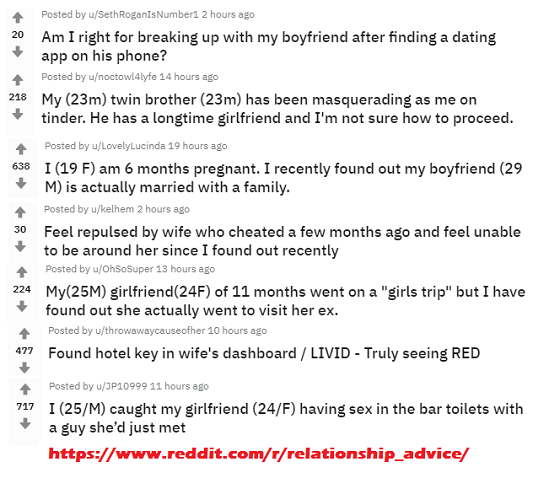 MGTOW members, on the other hand, use rationality and realism to prove their points. Anyone can agree with those. But what makes MGTOW unfriendly to the pop culture is their intensely conservative and bitter opinions about women in general. Despite that, growth of MGTOW is quite likely. The biggest reason attached to it is their promotion of individualism which many men are craving for. We just have to put all the above ingredients together to see where our society is heading. Numerous studies show kids follow their moms' relationship styles. This means the rat race will live on. Behind the hive mind, sits the loneliness. Each group we talked about is affected by it. If not eliminated, this will drain our healthcare system. Lonely people die younger. For society, it is a wake up call and thus may choose to become lenient towards the idea of older men marrying teens no matter how obnoxious the thought is. This then may make sexual liberation a thing of the past. The men in their 20's have to focus on creating stability to come off victorious against the older ones in the marriage market.